ca. 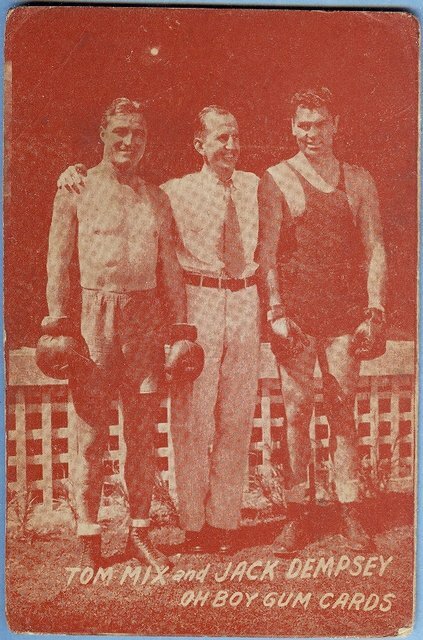 1929 or 1930 E282 Goudey Oh Boy Gum Jack Dempsey and Tom Mix. From a series of 32 movie-related cards. One of the first Goudey cards.